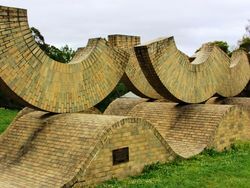 A large sculpture made of 12,000 bricks measuring 2.3 metres long, 7 metres wide and 5 metres in height, called `Terrestrial' commemorates the centenary of Selkirk Brickworks. 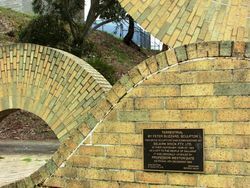 In 1883 Robert Selkirk began producing bricks by hand at Allendale, Victoria, in response to the building boom created by the Ballarat gold rush. 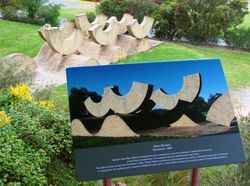 In 1892 he invested in his first brickmaking machinery and in 1900 moved to the current Ballarat manufacturing and head office site in Howitt Street. By 1905 the first continuous kiln was introduced, enabling Selkirk to produce six million bricks per year. 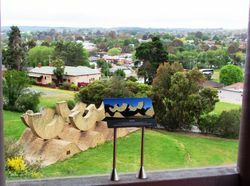 as a gift to the people of Ballarat. on Friday, 6th December 1985. 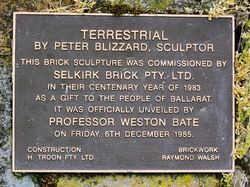 Ballarat artist Peter Blizzard designed the brick sculpture to mark the centenary of Selkirk Bricks Pty. 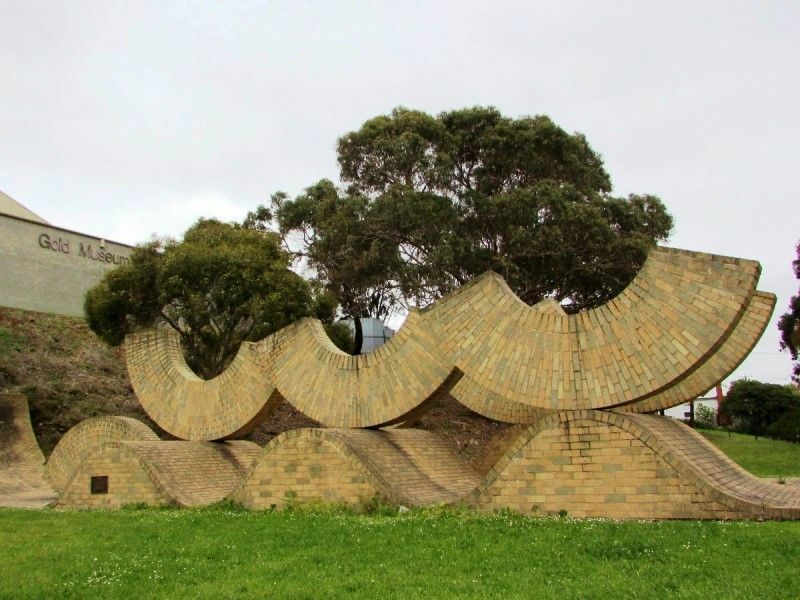 Ltfd, a local brick manufacturer. The sculpture features 30,000 Santan clay bricks.